Boston’s Eli Goldstein and Charles Levine aka Soul Clap are back with four mixes from three tracks, all taken from the recent album ‘EFUNK’ - Everybody’s Freaky Under Nature’s Kingdom – out on the Wolf + Lamb label. First up is ‘Need Your Lovin’’ featuring Mel Blatt, which is included here in its nice original guise, and now comes with a shiny new mix from Boston’s Nitetime aka DJ Kon and the Whiskey Baron. The duo add a more prominent 4/4 beat behind the track, although still keeping it quite downbeat. It’s good enough to be a worthy alternative to the original version though, when it comes to choosing what version to play. ‘Islands Part 2’ gets remixed by Slow Hands and Tanner Ross, a spaced out version that is sure to be very popular for all those DJs looking for new sunset records over the summer season. Finally, it’s ‘TroubleTroubleTrouble’ which is given to Minneapolis’ No Regular Play, who keep the track down beat, with a nu-disco vibe. 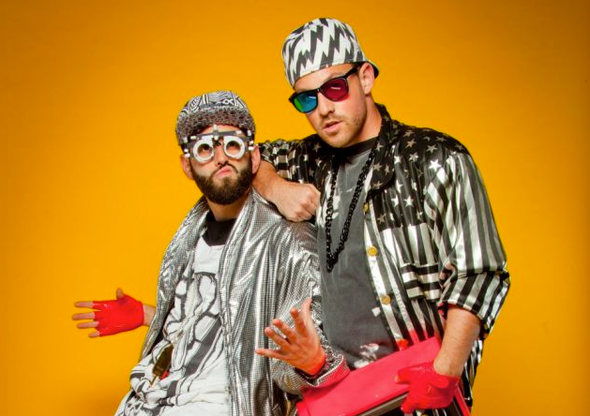 They’re all pretty good and draw attention again to what is a really great album by Soul Clap. Out June 18th. Check out their recent Mixmag DJ Lab performance below.